The key to changing your life is changing what you do every day. If you keep doing all the same things , you will continue to get the same results. This week we will look at habits. 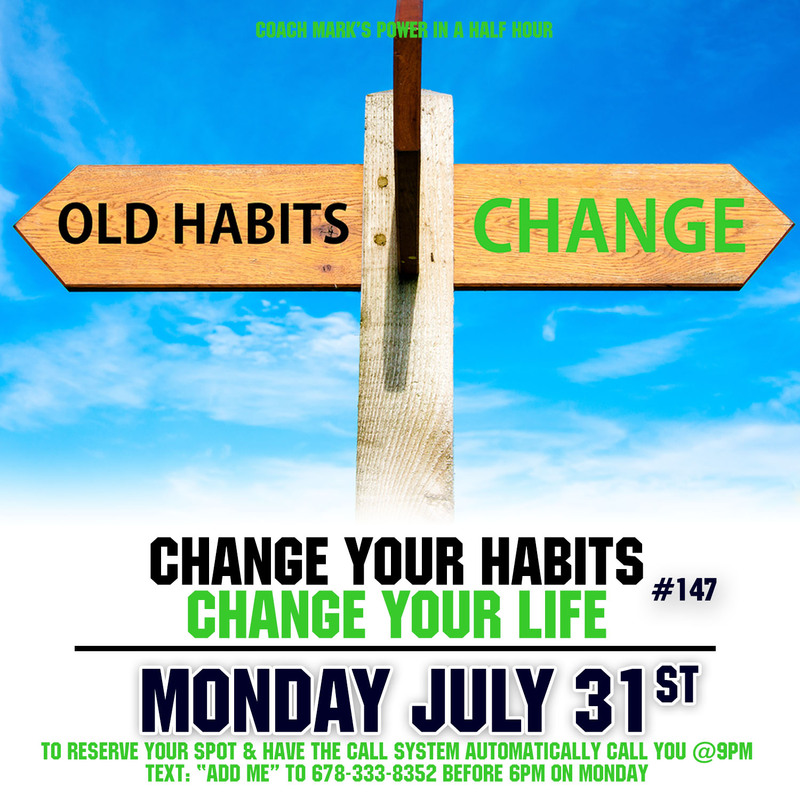 How they develop, How to change them, And the habits we need to have in order to be as successful as we possibly can. 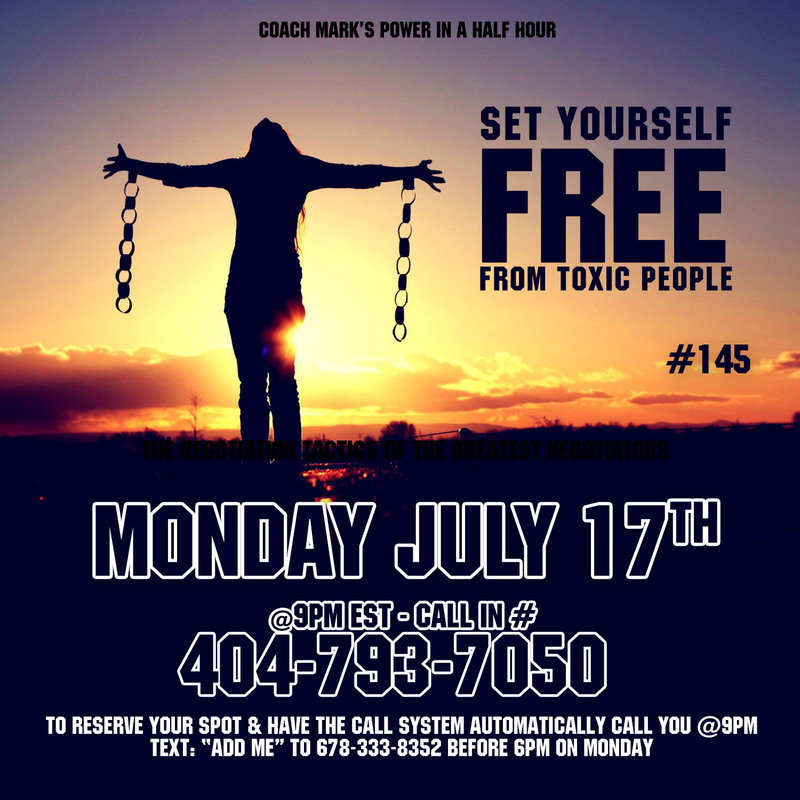 This will be a very powerful Power in A Half Hour – Don’t miss this week. 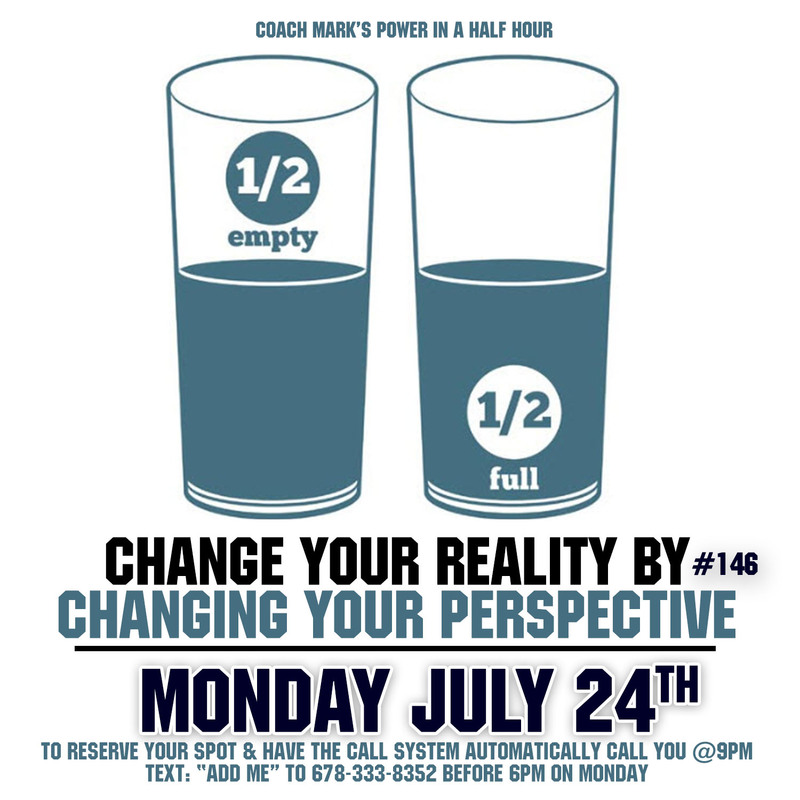 The easiest way to change our reality is change our perspective. Do you ever wonder how two people can look at the same thing and see two completely different things? Its all perspective. If you don’t like what you see in your life, maybe its time to change your Perspective. This week we will learn how… Don’t miss this. TOXIC RELATIONSHIPS NOT ONLY MAKE US UNHAPPY; THEY CORRUPT OUR ATTITUDES AND DISPOSITIONS IN WAYS THAT UNDERMINE HEALTHIER RELATIONSHIPS AND PREVENT US FROM REALIZING HOW MUCH BETTER THINGS CAN BE. This week we are doing it. We are taking out the GARBAGE. We are getting rid of all the toxic people in our lives once and for all. 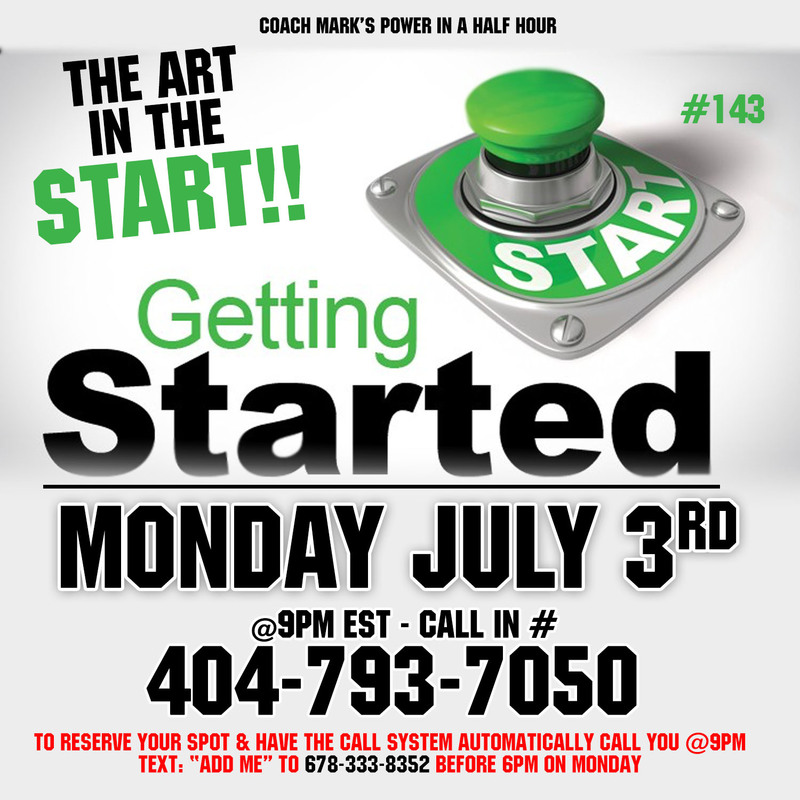 This may be the most important POWER CALL of 2017 – Don’t miss this. Being able to NEGOTIATE is one of the most important business & life skills that you can learn. Those that know how to negotiate tend to rise to the top of whatever industry they are in. At the same time, those that do not know how to negotiate tend to stay where they are or fall backwards. 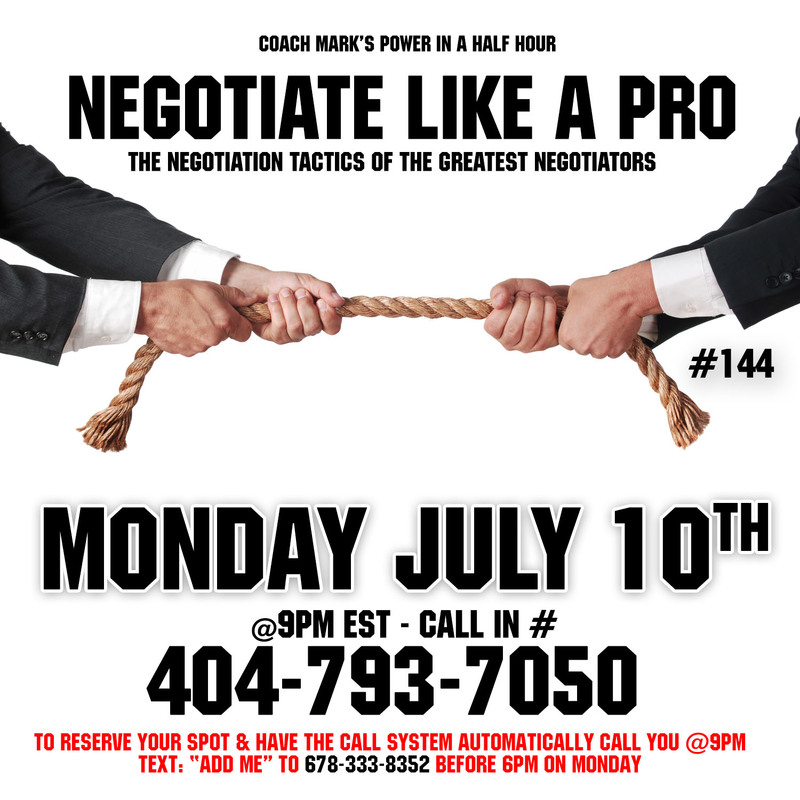 If you want to be successful in the business & life, come learn how to become a master NEGOTIATOR.